The BMW Group is targeting sales of at least 140,000 electrified models in 2018 and is well on track to achieving that, with global sales of these innovative vehicles totalling 15,041 in the first two months of the year, an increase of 40.2% compared with the same period last year. In the USA, which is the company’s largest single market for electrified vehicles, 7.3% of total BMW Group sales in February were electrified, with a total of 1,936 BMW i, BMW iPerformance and MINI Electric vehicles delivered to customers. In Scandinavia, a quarter of all BMW Group vehicles sold in February were electrified. The BMW Group has long focussed on improving the fuel-efficiency of its vehicles and last year once again achieved a reduction in its overall new-car European (EU28) fleet CO2 emissions. The reduction in 2017 of a further 2g/km means that CO2 emissions from the BMW Group’s new-car fleet in Europe (EU28) is now 122g/km. Since 1995, the average CO2 emissions for new BMW Group vehicles sold in Europe has fallen by more than 42%. February saw solid growth in global BMW brand sales, which grew by 5.1% to total 155,328. In the first two months of the year, the brand’s sales increased by 4.3% to total 303,738 vehicles delivered worldwide. These new record figures can be attributed to increased sales in all major sales regions. 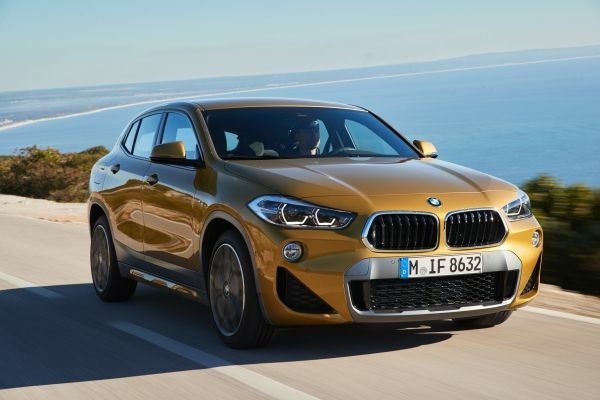 A range of models contributed to growth in the year-to-date, including the BMW 1 Series (31,775 / +33.2%), the BMW X1 (48,159 / +22.5%) and the BMW 5 Series (55,344 / +13.6%). The MINI brand achieved double-digit global sales growth of 10.8% in February, with the delivery of 23,319 vehicles to customers. The MINI Countryman continues to be the brand’s strongest growth driver, with sales in the first two months of the year totalling 12,687, more than twice what they were in the same period last year. Around 13% of MINI Countryman customers choose to buy the plug-in hybrid version of the car. BMW Motorrad sales also continued their steady growth with sales in the month up 3.1% to 10,172. In the first two months of the year, a total of 18,627 BMW Motorrad customers took delivery of a new motorcycle or maxi-scooter, an increase of 7.2% compared to the same period last year. All three major sales regions contributed to the BMW Group’s increase in sales, with Mainland China and the USA the two main growth drivers.